Together with the IUCN, UNDP GEF SGP, GIZ (the German International Development Agency), and the Secretariat of the Convention on Biological Diversity, the ICCA Consortium has co-organised a main Stream of events at the World Park Congress on 12-19 November 2014 in Sydney. 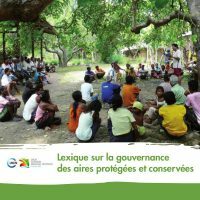 The Stream has examined examples of diversity, quality and vitality of governance of protected areas across the world, illustrating positive and problematic cases and highlighting knowledge, tools and capacities useful to meet international conservation commitments, such as the Aichi Biodiversity Targets of the Convention on Biological Diversity. It has shown how diverse, good and vital governance can enhance conservation coverage, effectiveness, equity, connectivity and social engagement. Issues were approached in a participatory way, engaging delegates in drawing conclusions and developing recommendations. The Stream ushered commitments to improve governance and national and regional networks to sustain “learning by doing” in a variety of social and ecological environments. Please read our Introductory Fact sheet in English, French, Spanish.